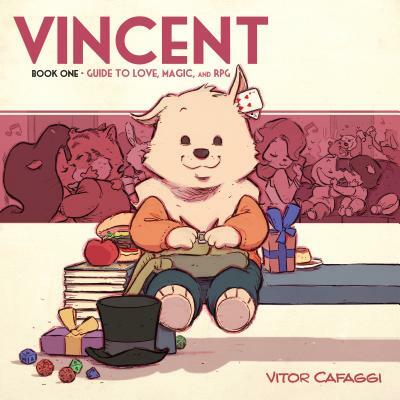 Vitor Cafaggi is a professor of visual narrative, script and character development in Minas Gerais, Brazil. His debut to the world of comics was with the webcomic Puny Parker, which narrated the childhood of his favorite hero, Spider-Man. He gained notoriety in his country with the graphic novels inspired by Brazilian super-property Turma da Mônica (Monica and Friends) and the comic strip Valente (Vincent) published by the Brazilian newspaper O Globo. Vitor has won the HQ Mix trophy multiple times for his excellence in comic art.